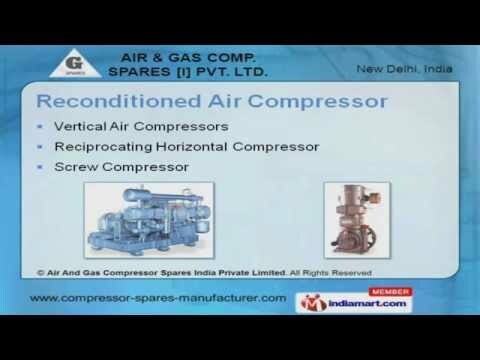 Welcome to Air and Gas Compressor Spares India Private Limited, Manufacturer and Exporter of Compressor Spares, Heat Exchanger Air Dryer and Receiver. The Company was established in the year 1988. High quality products and Sound infrastructure make us stand apart from also-rans. Timely delivery, Competitive prices and Team of qualified professionals make us the first choice of our clients. Our product list covers Compressor Spares, Heat Exchanger and Air Dryers. Compressor Spares offered by us are widely acclaimed in the market. We are the leading manufacturers of Reconditioned Air Compressor. Our Screw Air End Servicing and Heat Exchanger are in huge demand across the global markets. Along with that we offer Heat less and Desiccant Air Dryers that are extremely reliable. Ball Valves and Compressors Parts are available under Air Receiver.